For this month's competition, all you need to do is tag us in your best photo of "Weather or Not to go to to the Woods! 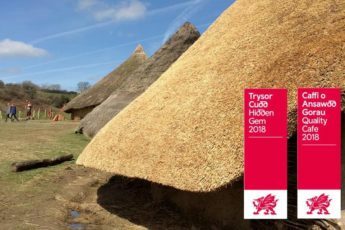 "⛈☀❄ Tag us in your photos on Instagram, Facebook or Twitter with the hashtag #TirCoedCalendar for your chance to win! April’s winner will receive a FREE family visit (2 adults, 2 children) to Castell Henllys, Pembrokeshrie! 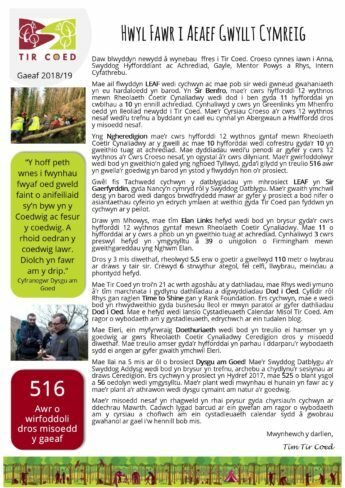 Ceredigion Sustainable Woodland Management Course - Halfway update! What a team! 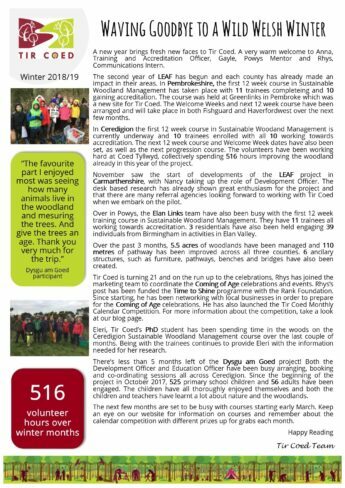 Some fantastic work has been carried out at Coed Tyllwyd in Llanfarian by trainees who are around halfway through a 12-week Sustainable Woodland Management course in Ceredigion. 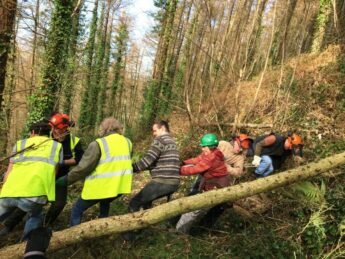 The group have been focusing on clearing extraction routes, halo thinning trees and creating habitat piles with brash on a steep bank in the southern end of the woods! 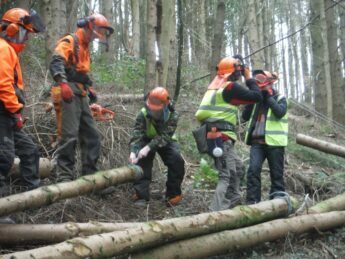 Five of our trainees and one staff member accessed this one-day knowledge transfer event delivered by MWMAC Ltd, funded through Focus Forestry First Ltd. on February 19th. The aim of the day was to familiarise participants with high wire timber extraction methods using a tractor mounted twin drum winch system! Overall, it was a very interesting and constructive day out! Learning and doing this [12 week training course] was incredibly empowering for me as a woman but also I'm retired in my early 60s, never did I think I would be coppicing, cutting down trees, I thought it was men’s work lumber Jacks and here I was age 60 a lumber Jill... The trees and nature bring a calmness. 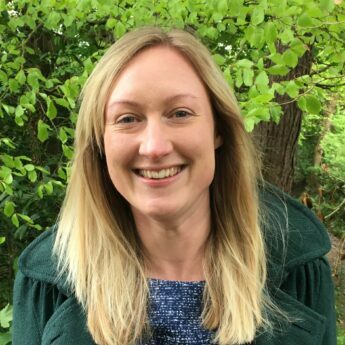 In 2014 I was made redundant from my job as a homeless/housing adviser for a local charity, I had two young children and was more than ready for a career change... 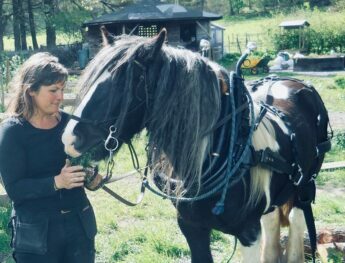 I love working as a gardener, a tutor for Tir Coed and horse logging. I hope that I am am lucky enough to have the rest of my working life outdoors, where I feel most inspired, strong and relaxed! 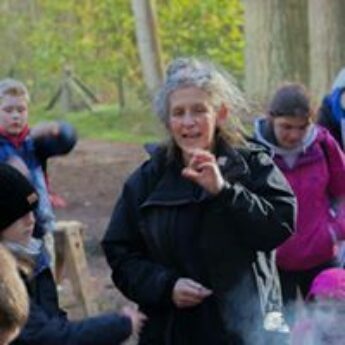 I have worked in outdoor education for more than 35 years now... the woods and the mountains are where I feel belonging and sharing my 'home' with the groups I work with brings me joy and feels like a good thing to do... I would very much encourage other women to be part of the woodland sector. The woods are a good place to work. The skills in this work are rewarding to learn. On this day celebrating Women, I would say- You can do anything you put your mind to, so begin it now. Be kind to yourself because us women are under so much pressure, make time for what makes you happy and know that you are just as capable, intelligent, creative and strong as the men around you... I have come across both sexism & ageism in my professional life (although on the most part I have received respect & encouragement) when I have, I have held my head up high and risen above it, the proof, after all... is in the pudding. I started with just whittling a butter knife, and then a spoon, then I got the chance to have a go on a pole lathe and that was it, I was hooked. I find crafting green wood to be so absorbing and addictive... there is something about following the grain and the nature of the wood that is intuitive and very satisfying.